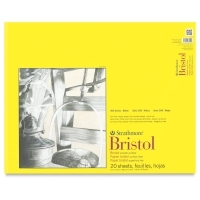 Strathmore 300 Series Bristol Board is an economical 2-ply bristol, available in two surfaces. Smooth is suited for pen or pencil. Vellum is ideal for a broad range of media, including crayon and charcoal. Acid-free. 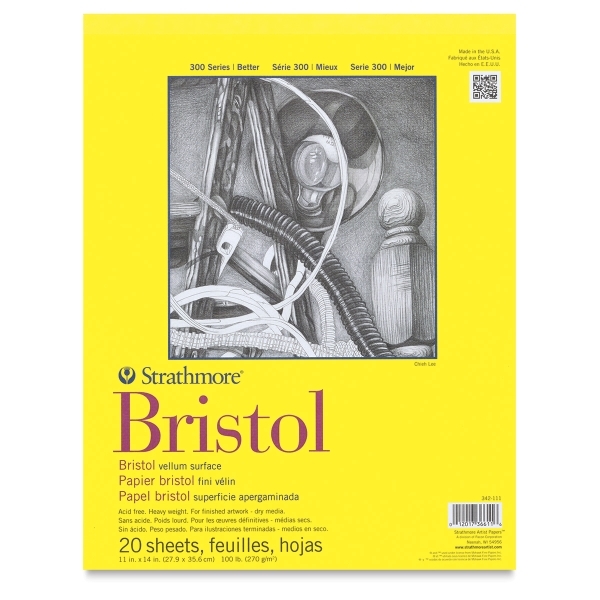 Each tapebound pad contains 20 sheets. 100 lb (270 gsm).